Coffee is steeped for between 10-50 seconds (depending on grind and preferred strength) and then forced through a filter by pressing the plunger through the tube. 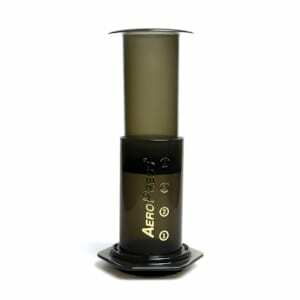 The filters used are either the AeroPress paper filters or the recommended IMS stainless steel filters. The maker describes the result as an espresso strength concentration of coffee, but its most frequent use is more in the filter brew strength.